ST. GEORGE – And you thought you were done dealing with freeway roadwork for a while with work on Interstate 15 between miles 8 and 10 appearing to wrap up. Well, state road planners aren’t done with you yet as they have engaged in yet another I-15 project in Southern Utah. 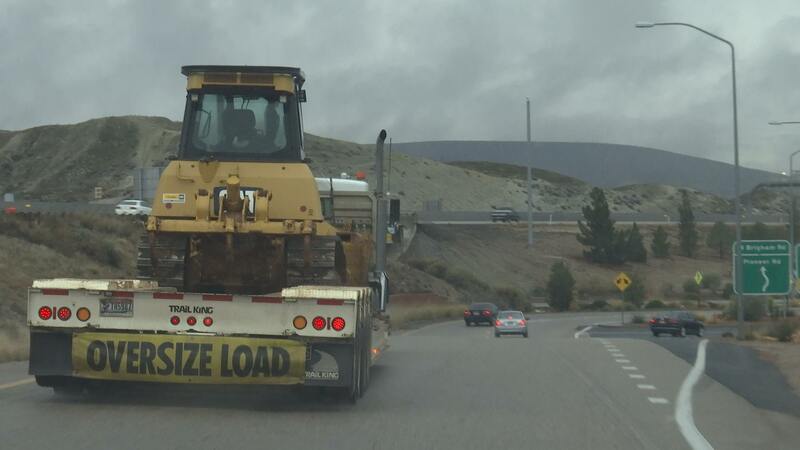 This time the Utah Department of Transportation is focusing on the section of road between Brigham Road/Exit 4 and Dixie Drive/Exit 6 interchanges. Some of the work has already begun, with an accompanying trail closure slated for next week. The plan is to add an auxiliary lane in both directions that will allow drivers to enter the freeway and exit at the next interchange without merging with through-traffic or changing lanes. The new lanes are anticipated to improve traffic flow and enhance safety. The area has been described as a “choke point” by UDOT planners due to how narrow it becomes while crossing the Virgin River. Adding those new lanes will involve demolishing and replacing the narrow bridges over the Virgin River – a process that begins Monday and is expected to conclude by December. In addition to providing a third lane of travel, the new bridges will also be able to accommodate the creation of a fourth lane in the future. As one may expect, the roadwork is going to involve lane and trail closures. All lanes will remain open during the day from 8 a.m. to 6 p.m., with traffic reduced to a single lane at night. Motorists who commute through the area on a regular basis will need to be mindful of the times the road will transition from two lanes to a single lane due to potential delays. “People who are traveling through that immediate vicinity around those times … (will) need to plan for single-lane traffic,” Kitchen said. As the bridges are replaced as a part of the road-widening, the Virgin River Trail that goes under I-15 will be closed at various times during the project. During the closure periods, trail users will be detoured to alternate routes. The closures begin Monday. The project is a part of an overall plan to enhance and improve the infrastructure of the I-15 corridor from mile 16 to the Arizona border in order to accommodate growing use through 2040. The construction of the diverging diamond interchange at the St. George Boulevard/Exit 8 interchange in 2013 was the first step in this plan, followed by the widening of I-15 between the mileposts 8 and 10, which include the underpass by the Red Cliff’s Mall in 2016. That project is largely completed by this point. To learn more about the project, visit the project website or contact the project team by phone at 435-379-3435 or emailing exit4_5@utah.gov. Travel information associated with this and other UDOT construction projects is available through the UDOT Traffic website udottraffic.utah.gov. Drivers can also follow @udottraffic on Twitter or download the free UDOT Traffic App, available for smartphones and tablets. Thank you for this article – very useful information. This is a worthy project for those of us who frequently use this stretch of I-15. The southbound I-15 portion of the bridge expansion will be a huge improvement in safety for drivers, including the many who choose to exit at Brigham Rd and head towards Wal-Mart. I think we should agree that UDOT has generally moved on these expansion projects faster than our surrounding states, and much better than the midwest, or east coast. There is no comparison to California, since they are generally way behind their growth…….. I gotta agree. I’ve been pleasantly surprised at the velocity of the transportation infrastructure enhancements. California has almost 40 million people, and their roads are certainly no worse than Utahs. Oh and let’s remember, we all got to pay for the 2002 Olympic highways projects twice! Because every new overpass between St. Geo & Logan wasn’t “built to code” the first time around.